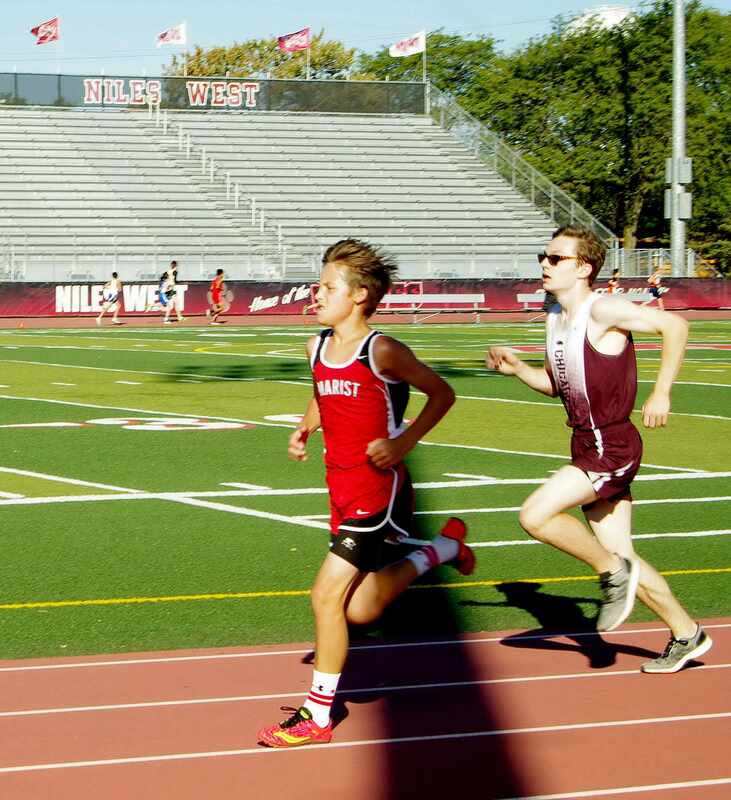 Thomas Leonard runs an incredible race at Niles West! 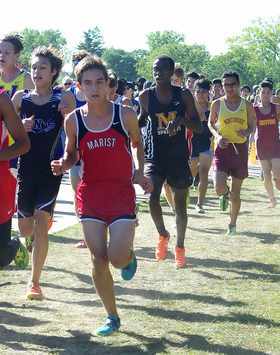 Marist Varsity Men post 36 victories at the Pat Savage Invitational! 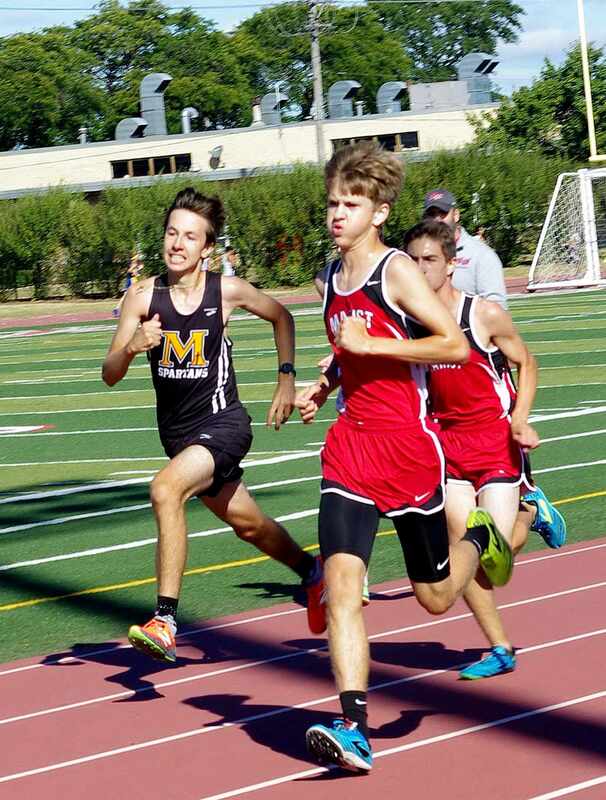 On Saturday, September 29, 2018, the Chicago Marist Varsity Men traveled to Niles West High School in Skokie, Illinois for the Pat Savage Invitational. Chicago Marist was greeted upon arrival by Hall of Fame Coach Pat Savage. Niles West was excellent hosts. Niles West Head Coach Michael Grossman provided an Indoor Track for Team Camps, complete with music and a DJ, Souviner vendors, and a hospitality area. Marist's new TEAM Tent was proudly displayed near the entrance of the fieldhouse. The Coaching staff, Athletes, Alumni, and parents enjoyed the TEAM Tent throughout the meet. Seven Marist Seniors presented their parents with roses in front of the TEAM Tent after they finished their races as part of the RedHawks Senior Day Celebration. 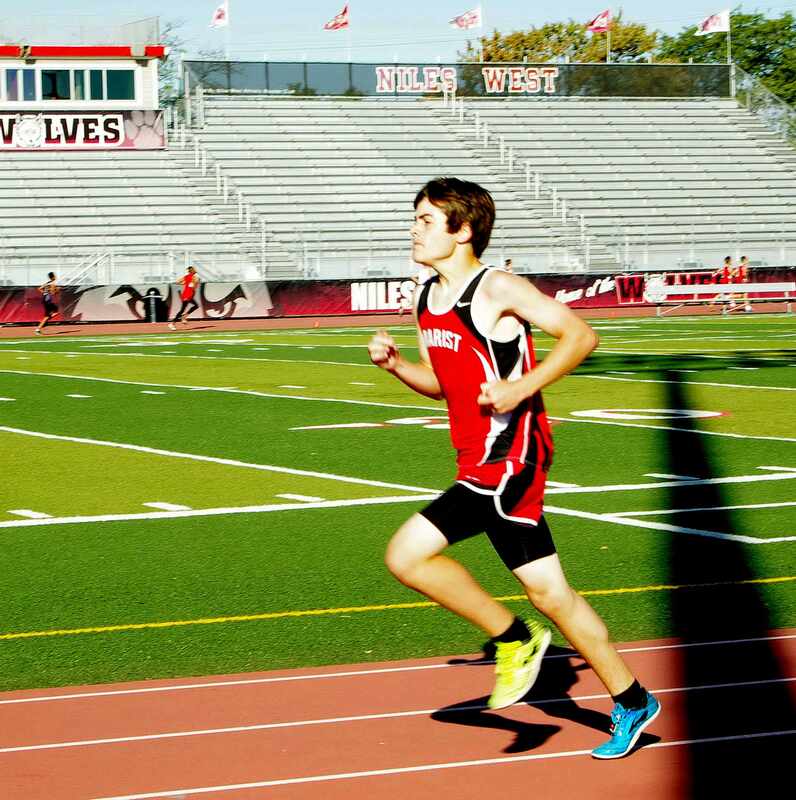 Niles West featured a spectator friendly three miles course with an Olympic style finish in the Track and Field Stadium. 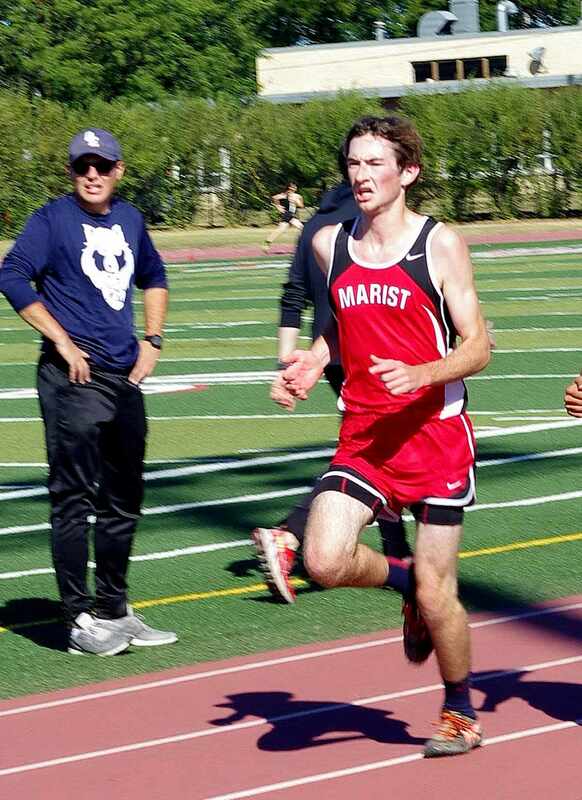 The Marist Varsity Men finished tenth in the Class 3A division, and 15th overall in the combined results (Class 1A, 2A, and 3A), and posted a record 36 victories, including: 16. Niles West (420 points), 17. Elmwood Park (508 points), 18. Rockford Auburn (529 points), 19. Taft (572 points), 20. Oak Forest (646 points), 21.Montini Catholic (651 points), 22. Von Steuben (653 points), 23. Northside College Prep (690 points), 24. Round Lake (691 points), 25. Glenbrook South (691 points), 26. Argo (716 points), 27. Wheeling (742 points), 28. Loyola Academy (778 points), 29. Lake Park (813 points), 30. Marian Catholic (855 points), 31. Woodstock North (864 points), 32. Mather (922 points), 33. Lake View (938 points), 34. ITW David Speer Academy (986 points), 35. Ridgewood (990 points), 36. Wauconda (993 points), 37. Glenbrook North (1042 points), 38. St. Laurence (1077 points), 39. Southland College Prep (1081 points), 40. Joliet Catholic Academy (1086 points), 41. Marine Leadership Academy (1205 points), 42. Lake Forest Academy (1267 points), 43. Fenwick (1285 points), 44. St. Rita (1341 points), 45. Rich East (1439 points), 46. Alcott, 47. Francis W. Parker, 48. Kennedy, 49. Prospect, 50. St. Patrick, and 51. The Noble Academy. 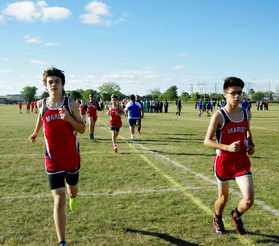 There was 586 runners in the Varsity Race. Evanston's Maximus Peterson and Marist's Thomas Leonard finished 1-2! 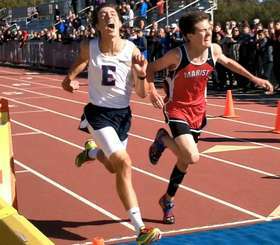 It was the most spectacular finish in the history of the meet! Leonard ran a pure guts race with an outstanding time of 15:29.15! 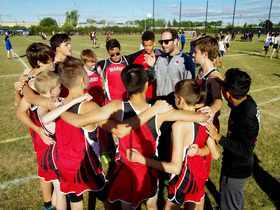 Chicago Marist Cross Country TEAM prepares for the Pat Savage Invitational! Marist Homecoming Family BBQ! Senior day on Saturday, September 30, 2017! 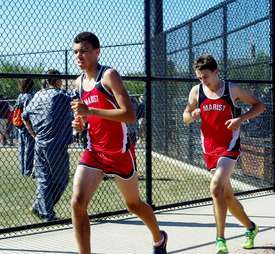 The Marist Cross Country TEAM will be traveling to Niles West High School in Skokie, Illinois on Saturday, September 30, 2017 for the Pat Savage Invitational. The meet features 51 Teams, and 2,500 runners. It is the largest Cross Country meet in Illinois. 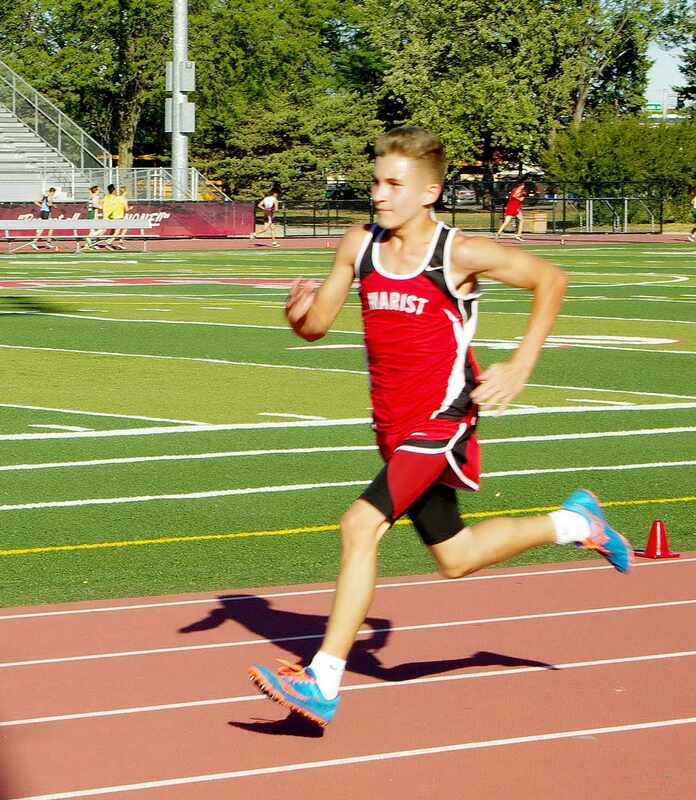 Marist ran impressive workouts last week, including 300m repeats, eye-poping 1600m repeats, and competed in the Tinley Park Invitational in 90 degree temperatures in preparation for the Niles West Pat Savage Invitational. Former Hall of Fame Coach Pat Savage will be in attendance on Saturday. 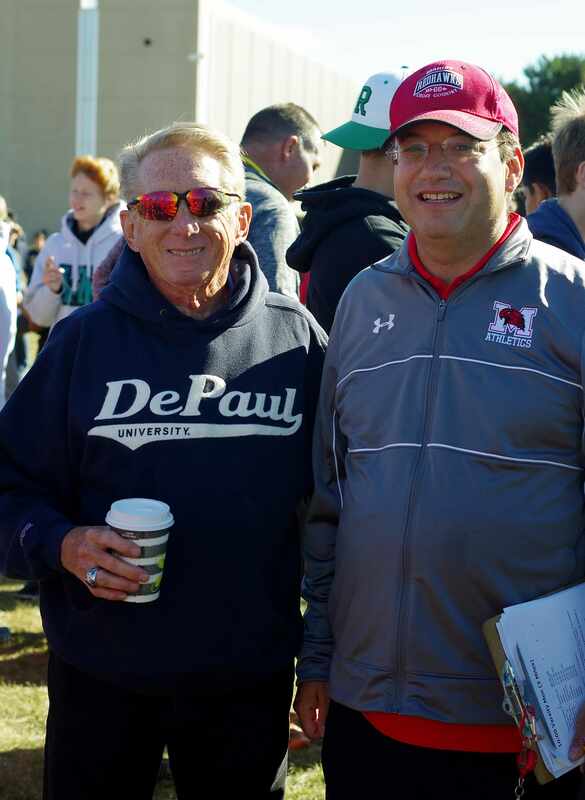 Pat Savage coached at Niles West, Oakton, and DePaul University during his coaching career. DePaul is the largest cathloic university in the U.S. with over 24,000 students. Marist Head Coach Jon Gordon received his first plaque for Cross Country at an awards assembly at this meet, from Hall of Fame Coach Pat Savage in 1988! The forecast for the Pat Savage Invitational is 66 degrees. Athletes will be able to put their NEW Cross Country Jackets and Warm-ups to good use at the Niles West Pat Savage Invitational. TEAM meetings for the Freshman division, Varsity division, and Sophomore division will take place after practices this week. There is unlimited entries in every division. This is a BIG meet for Marist. Color course maps will be distributed at practice. The final 300m of the race finishes on the Track in the Niles West Track and Field Stadium, just like the Olympics. 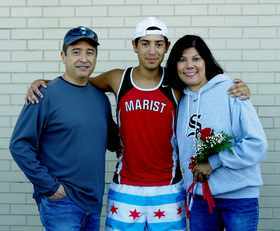 On Thursday, September 28, 2017, Marist Cross Country Senior Day shirts will be distributed to the entire TEAM at practice in honor of Senior Ignacio Jasso. On Friday, September 29, 2017, athletes will wear "Ignacio Jasso Day" t-shirts to practice. Marist Homecoming Family BBQ will take place at 5:30 pm in the Cafeteria. On Saturday, September 30, 2017, all SENIORS will get the opportunity to run in the Varsity race. All SENIORS will also be provided with a rose by Marist to present to their mothers at the Pat Savage Invitational. Chicago Marist Seniors will be honored again in a Varsity Senior Blanket ceremony at the East Bank Club on November 12, 2017. TEAM trophies will be awarded to the Top 3 Class 2A Teams in every division. 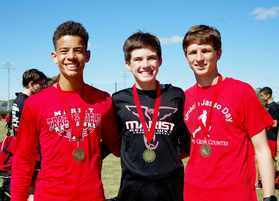 Thomas Leonard, Lucas Pennix, and Colin Tracy earn MEDALS at Pat Savage Invitational! Chicago Marist finishes FIFTH at Pat Savage Invitational! 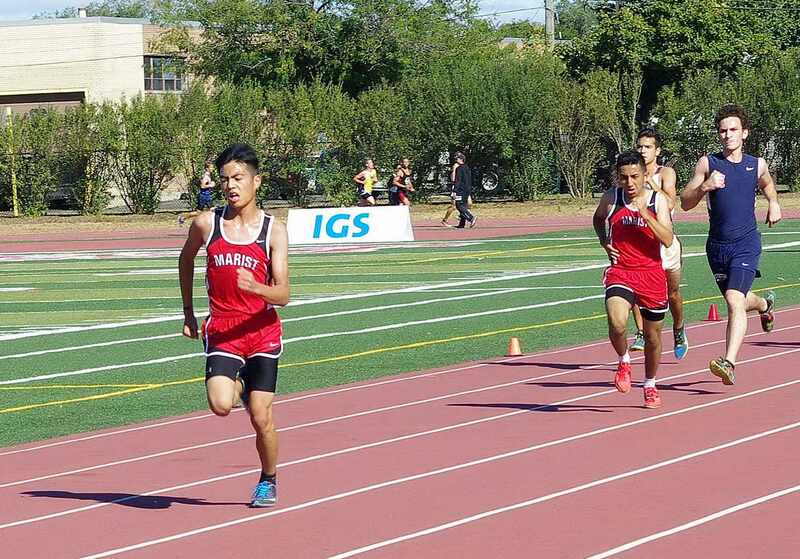 On Saturday, September 30, 2017, the Chicago Marist Varsity Men traveled to Niles West High School in Skokie, Illinois for the Pat Savage Invitational. Chicago Marist was greeted upon arrival by Hall of Fame Coach Pat Savage. Niles West was excellent hosts. Niles West Head Coach Michael Grossman provided an Indoor Track for Team Camps, complete with music and a DJ, Souviner vendors, and a hospitality area. The three miles course was spectator friendly with an Olympic style finish in the Track and Field Stadium. A lot of reunions took place at Niles West for Marist Head Coach Jon Gordon, with former athletes, friends, and former members of his coaching staff throughout the past twenty years. It was a wonderful experience. Saint Viator won the Red Division (Class 1A/2A) with 72 points. Congratulations to Saint Viator Head Coach Wayne Edelman and the Lions! 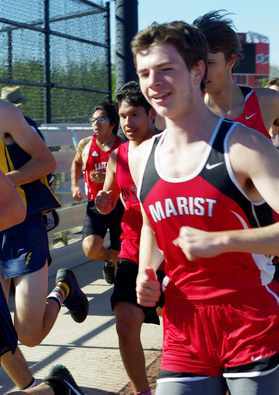 The Chicago Marist Varsity Men finished in FIFTH place overall, and posted victories over: 6. DePaul College Prep (161 points), 7. Wauconda (178 points), 8. Noble Academy (218 points), 9. Marian Catholic (251 points, ESCC Conference opponent), 10. ITW David Speer Academy (254 points), 11. Lakeview (272 points), 12. Northridge Prep (306 points), 13. St. Patrick (322 points, ESCC Conference opponent), 14. St. Laurence (382 points), 15. Lake Forest Academy (462 points), 16. Instituto Health Sciences Career Academy (488 points), 17. St. Rita (490 points), 18. Christ the King Jesuit College Prep, 19. Francis W. Parker, 20. Kennedy, 21. Oak Forest, 22. Ridgewood, 23. Steinmetz, 24. Walter Payton, 25. Wolcott, 26. Woodstock North, and 27. Marine Leadership Academy. Chicago Marist had a record of 22-4 on the day against Class 2A Teams in the Red Division of the Pat Savage Invitational! 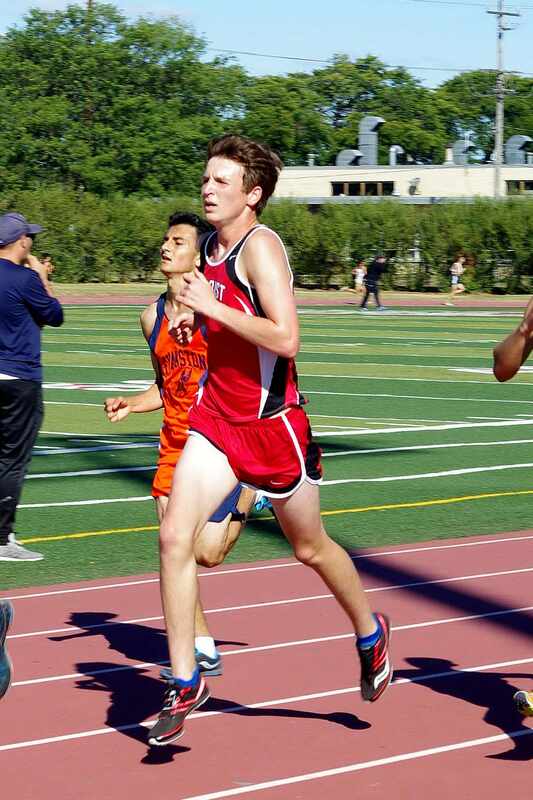 Francis Parker High School Senior Jack Nabola won the Pat Savage Invitational with an official time of 14:55.83. 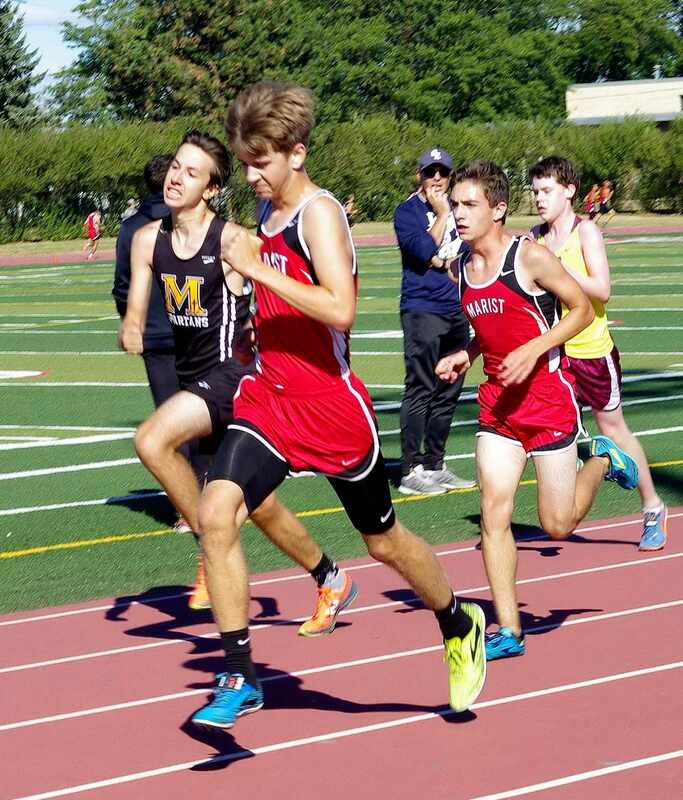 The Chicago Marist Varsity Men had their BEST performance of the season, with six of the top seven runners running their fastest three miles time of their high school career. Sophomore Thomas Leonard led the Redhawks by finishing in second place overall (1st for Team scoring) with a PERSONAL BEST time of 15:42.60. Captain Thomas Leonard was awarded a MEDAL for finishing in second place overall. Junior Lucas Pennix finished second for the Redhawks and in 11th place overall with a PERSONAL BEST time of 16:43.34. Lucas Pennix was awarded a MEDAL for finishing in 11th place overall. Junior Colin Tracy finished third for the Redhawks and in 24th place overall (21st for Team scoring) with a PERSONAL BEST time of 17:09.99. Captain Colin Tracy was awarded a MEDAL for finishing in 24th place overall. Junior Aidan Dillon finished fourth for the Redhawks and in 51st place overall with a season best time of 18:19.83. Sophomore Luke Hortsman finished fifth for the Redhawks to complete the scoring and in 56th place overall with a PERSONAL BEST time of 18:26.16. Freshman Kevin Bugos finished sixth for the Redhawks and in 57th place overall with a PERSONAL BEST time of 18:26.59. Junior Joe Donnelly finished seventh for the Redhawks and in 72nd place overall with a PERSONAL BEST time of 18:54.44. 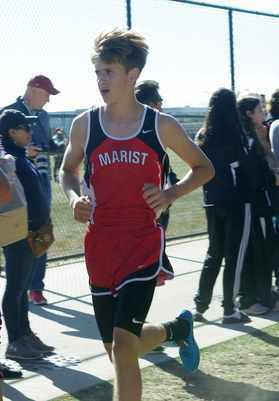 Marist Sophomore Thomas Leonard earns a MEDAL with a PERSONAL BEST time of 15 minutes and 42.60 seconds! 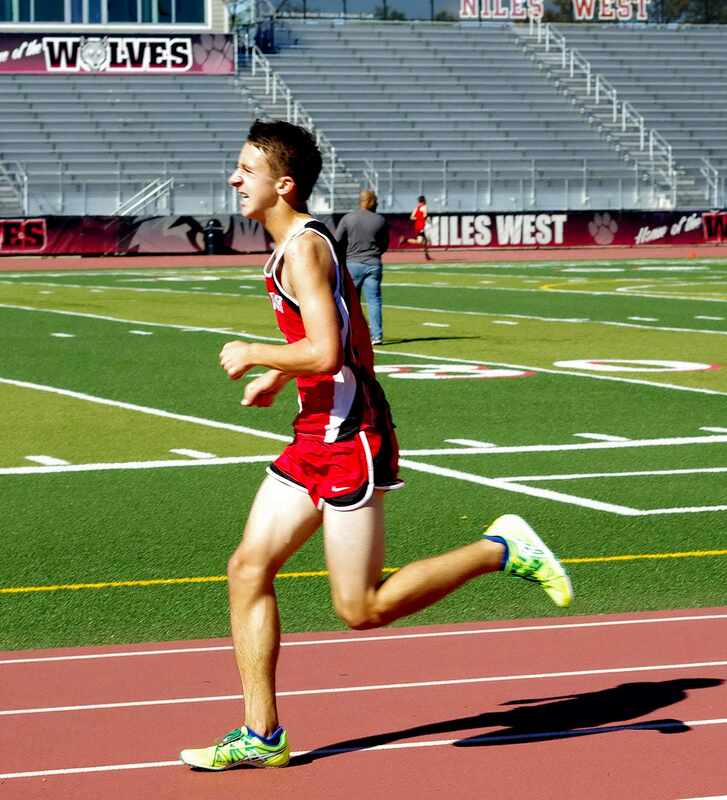 Sophomore Thomas Leonard led the Redhawks by finishing in second place overall with a PERSONAL BEST time of 15:42.60. Captain Thomas Leonard ran the first mile in 5:10, and then ran the second mile in 5:22 (10:32), and then ran the final mile in a NEGATIVE split of 5:10.60 for an outstanding time of 15:42.60. Thomas Leonard was awarded a MEDAL for finishing in second place overall. 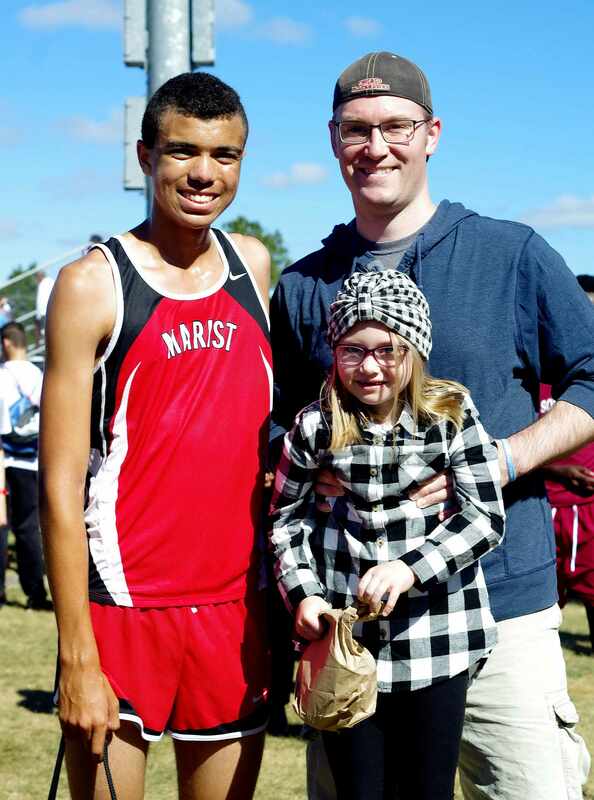 Marist Junior Lucas Pennix earns a MEDAL with a PERSONAL BEST time of 16 minutes and 43.34 seconds! 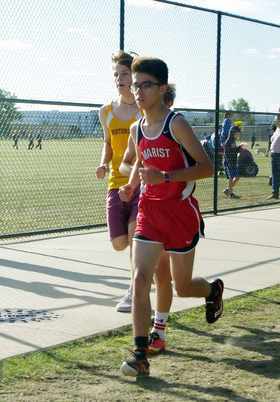 Junior Lucas Pennix finished second for the Redhawks and in 11th place overall with a PERSONAL BEST time of 16:43.34. Lucas Pennix dropped 25 seconds (17:08.8) with a personal best time of 16:43.34. Lucas Pennix ran the first mile in 5:27, and then ran the second mile in 5:43 (11:10), and then ran the final mile in a NEGATIVE split of 5:33.34 for an official time of 16:43.34. Lucas Pennix was awarded a MEDAL for finishing in 11th place overall. 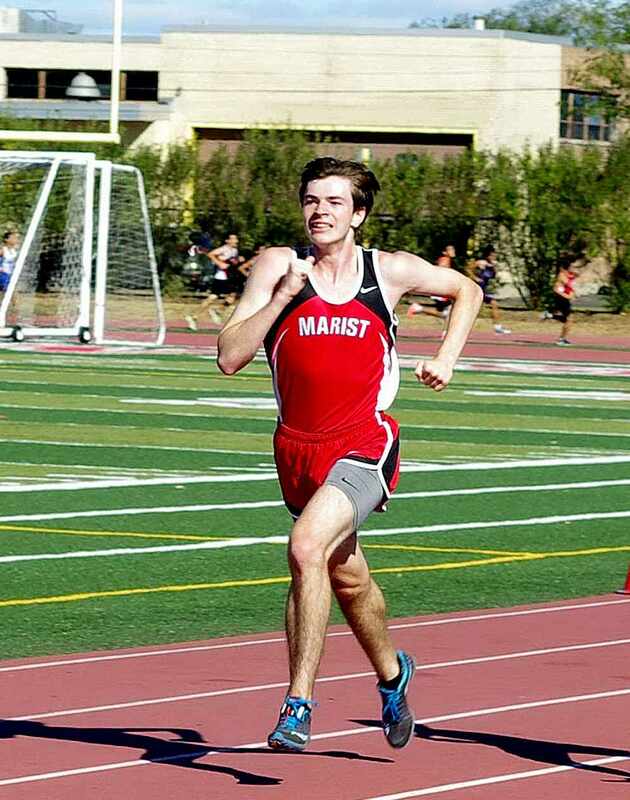 Marist Junior Colin Tracy earns a MEDAL with a PERSONAL BEST time of 17 minutes and 9.99 seconds! Junior Colin Tracy finished third for the Redhawks and in 24th place overall with a PERSONAL BEST time of 17:09.99. Captain Colin Tracy dropped 33 seconds (17:43.80) with a personal best time of 17:09.99. 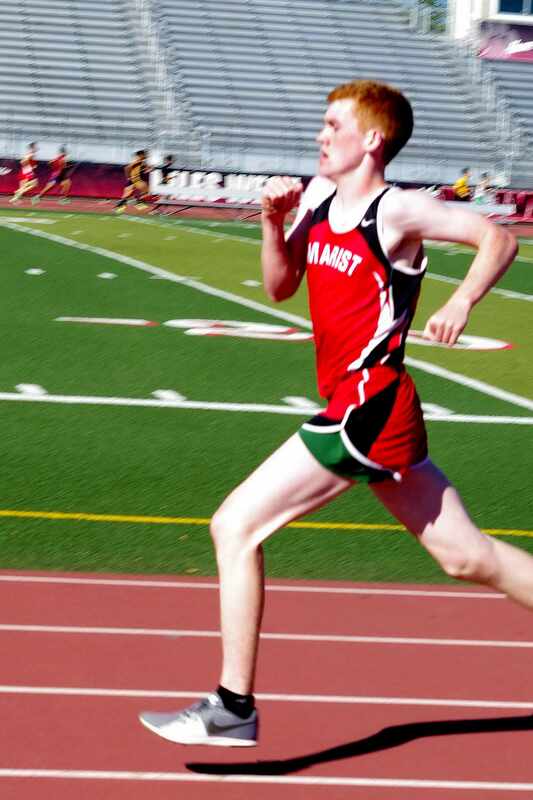 Colin Tracy ran the first mile in 5:43, and then ran the second mile in 5:46 (11:29), and then ran the final mile in a NEGATIVE split of 5:40.99 for an outstanding time of 17:09.99. Colin Tracy was awarded a MEDAL for finishing in 24th place overall. 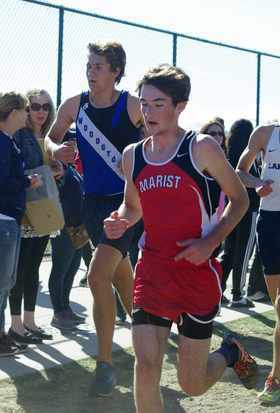 Marist Junior Aidan Dillon finishes fourth for the Redhawks with an outstanding time of 18 minutes and 19.33 seconds! Junior Aidan Dillon finished fourth for the Redhawks and in 51st place overall with a outstanding time of 18:19.83. 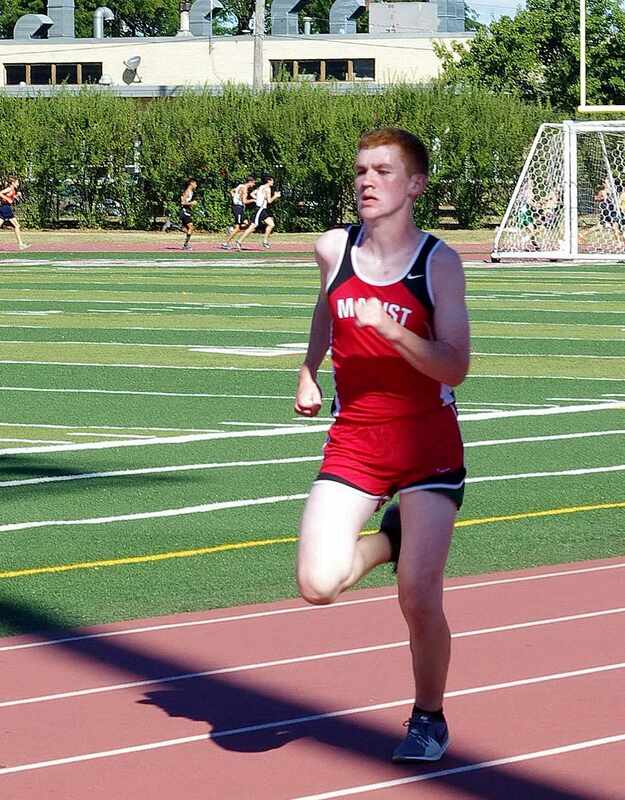 Aidan Dillon ran the first mile in 6:23, and then ran the second mile in 6:24 (12:47), and then ran the final mile in a NEGATIVE split of 5:32.83 for a season best time of 18:19.33. Marist Sophomore Luke Hortsman finishes fifth for the Redhawks with a PERSONAL BEST time of 18 minutes and 26.16 seconds! Luke Hortsman ran the first mile in 6:15, and then ran a NEGATIVE split of 6:12 (12:27), and then ran the final mile in another NEGATIVE split of 5:59.16 for an outstanding time of 18:26.16. 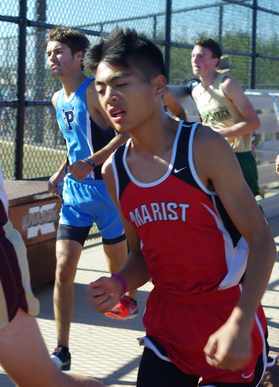 Marist Freshman Kevin Bugos finishes sixth for the Redhawks with a PERSONAL BEST time of 18 minutes and 26.59 seconds! 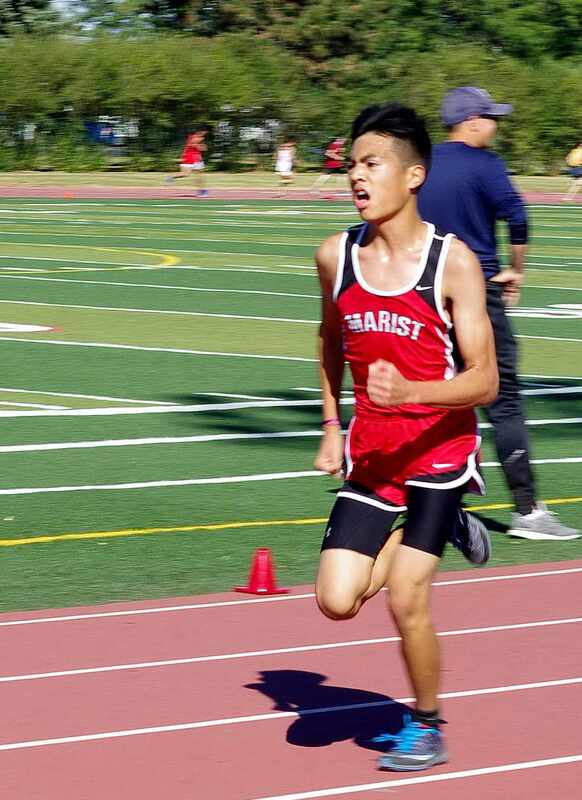 Kevin Bugos ran the first mile in 6:15, and then ran the second mile in a NEGATIVE split of 6:08 (12:23), and then ran the final mile in another NEGATIVE split of 6:03.59 for an official time of 18:26.59. 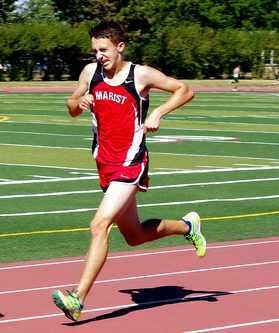 Marist Junior Joe Donnelly drops 29 seconds with a PERSONAL BEST time of 18 minutes and 54.44 seconds! Junior Joe Donnelly finished seventh for the Redhawks and 72nd overall with a personal best time of 18:54.44. Joe Donnelly dropped 29 seconds (19:23.40) with an official time of 18:54.44. 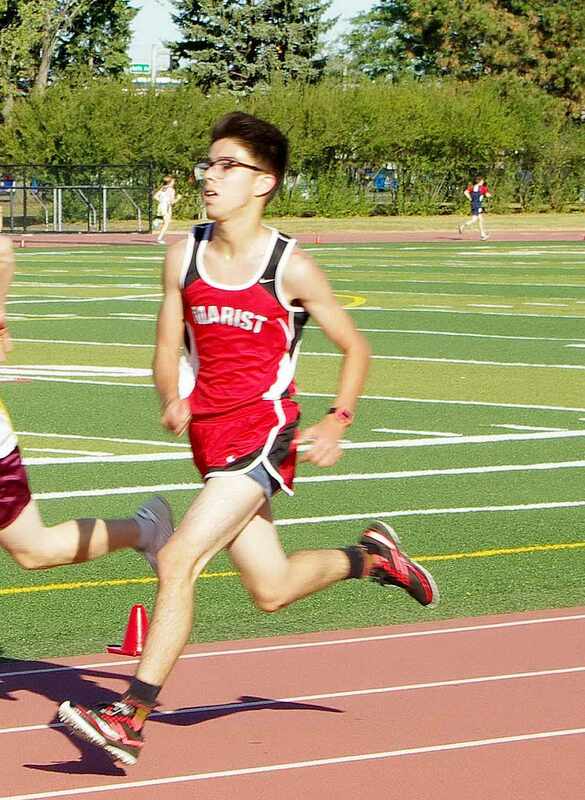 Joe Donnelly ran the first mile in 6:24, and then ran the second mile in a NEGATIVE split of 6:16 (12:40), and then ran the final mile in another NEGATIVE split of 6:14.44 for an outstanding time of 18:54.44. Marist Freshman Jonathan Rivera finishes eighth for the Redhawks with an outstanding time of 19 minutes and 0.80 of a second! 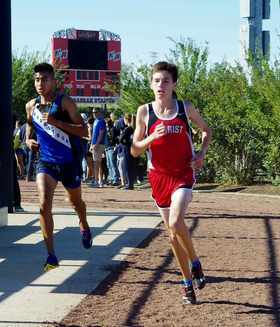 Freshman Jonathan Rivera finished eighth for the Redhawks and in 90th place overall with an outstanding time of 19:00.80. 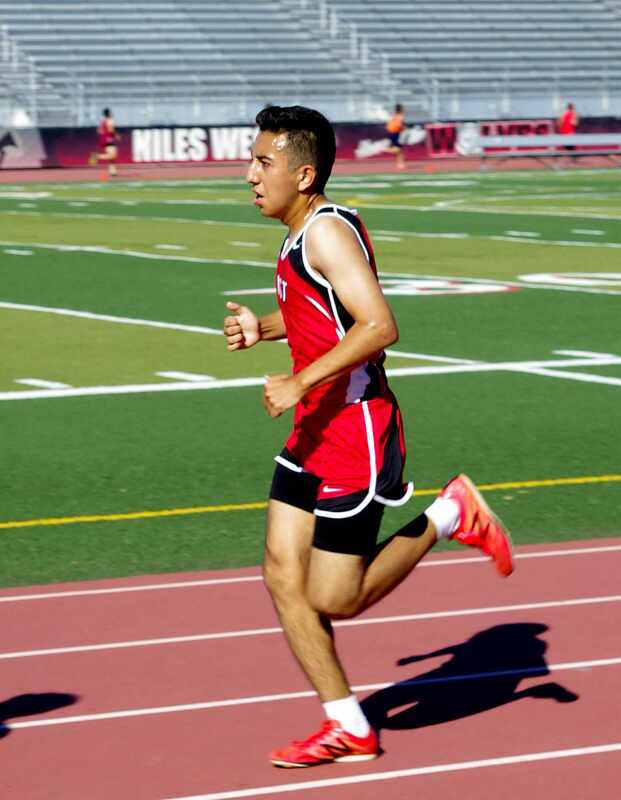 Jonathan Rivera ran the first mile in 6:28, and then ran the second mile in 6:32 (13:00), and then ran the final mile in a NEGATIVE split of 6:00.80 for an official time of 19:00.80. 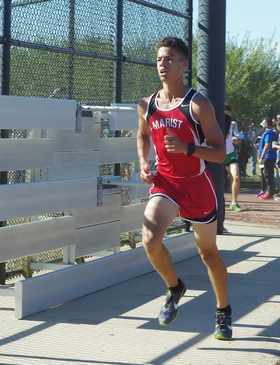 Marist Junior Andres Castillo finishes ninth for the Redhawks with an outstanding time of 19 minutes and 3.15 seconds! 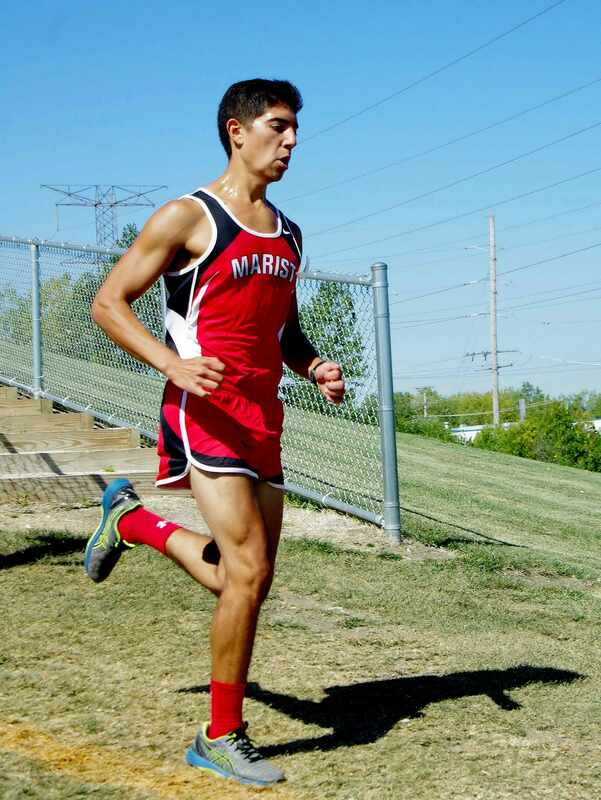 Junior Andres Castillo finished ninth for the Redhawks and in 92nd place overall with an outstanding time of 19:03.15. 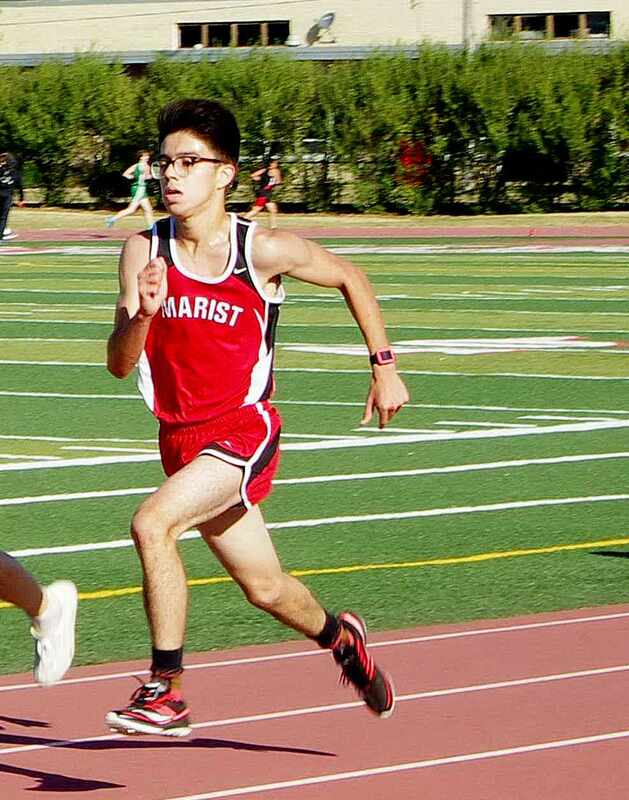 Andres Castillo ran the first mile in 6:28, and then ran the second mile in 6:32 (13:00), and then ran the final mile in a NEGATIVE split of 6:03.15 for an official time of 19:03.15. 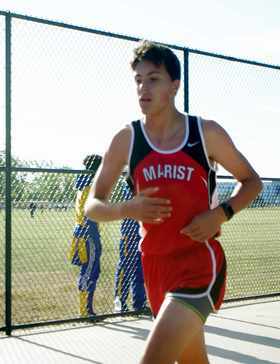 Marist Junior Brian Breslin finishes tenth for the Redhawks with an outstanding time of 19 minutes and 8.59 seconds! 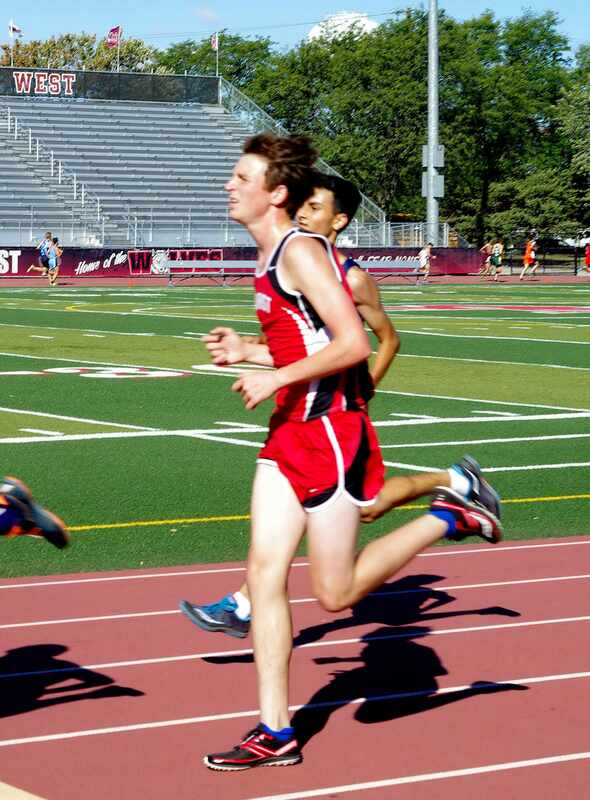 Junior Brian Breslin finished tenth for the Redhawks and in 95th place overall with an outstanding time of 19:08.59. Brian Breslin ran the first mile in 6:28, and then ran the second mile in 6:33 (13:01), and then ran the final mile in a NEGATIVE split of 6:07.59 for an official time of 19:08.59. Marist Sophomore Josh Burns finishes in 28th place in the Sophomore Boys race with official time of 19 minutes and 23.69 seconds! The 11th fastest time of the day came in the Sophomore Boys race. 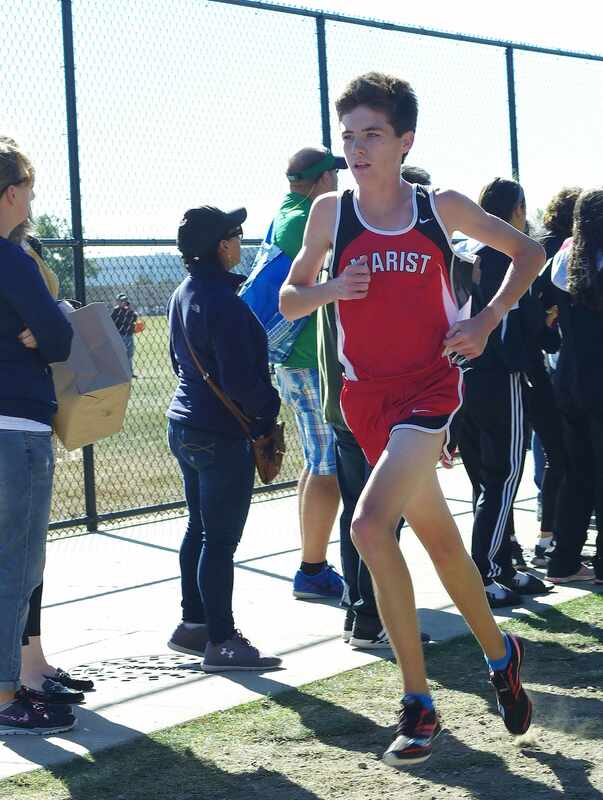 Sophomore Josh Burns led the Marist Sophomore Boys by finishing in 28th place with an outstanding time of 19:23.69. Josh Burns ran the first mile in 6:15, and then ran the second mile in 6:42 (12:57), and then ran the final mile in a NEGATIVE split of 6:26.69 for an official time of 19:23.69. 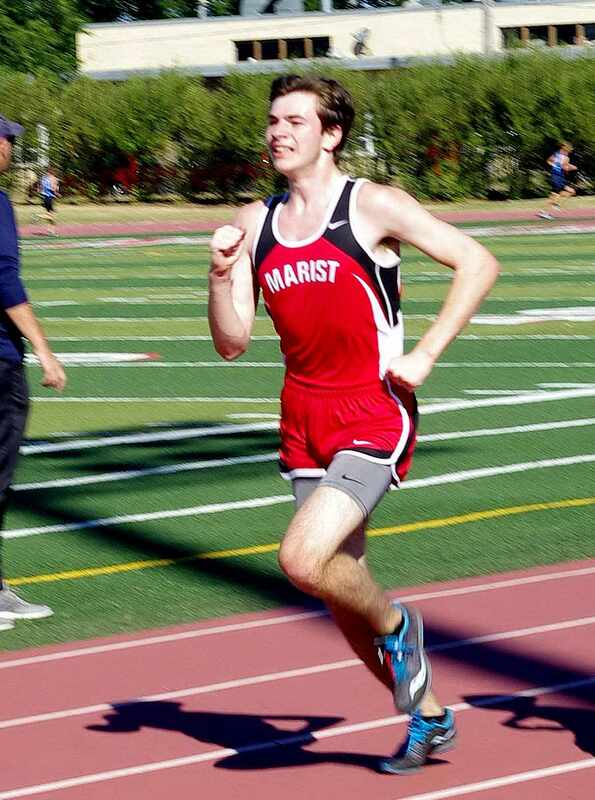 Marist Sophomore Peter Derdzinski finishes in 30th place in the Sophomore Boys race with a PERSONAL BEST time of 19 minutes and 28.27 seconds! The 12th fastest time of the day came in the Sophomore Boys race. 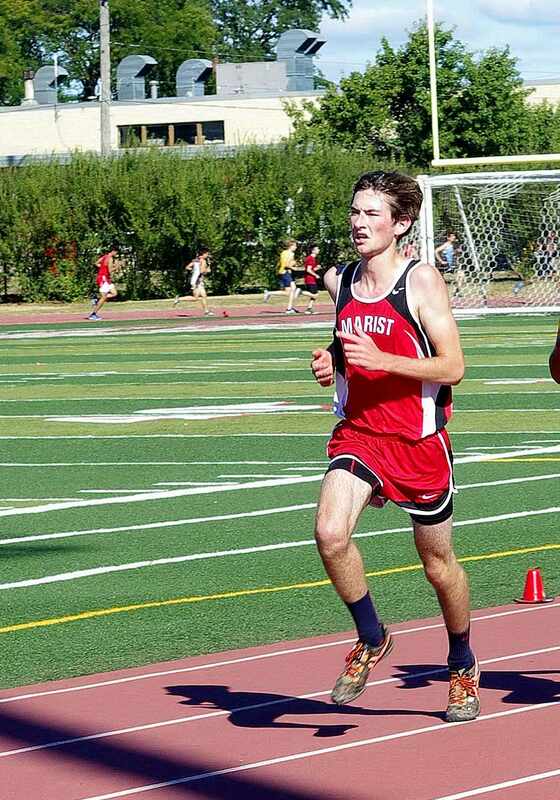 Sophomore Peter Derdzinski finished second for the Marist Sophomore Boys Team and in 30th place overall with a PERSONAL BEST time of 19:28.27. Peter Derdzinski ran the first mile in 6:15, and then ran the second mile in 6:43 (12:58), and then ran the final mile in a NEGATIVE split of 6:30.27 for an official time of 19:28.27. 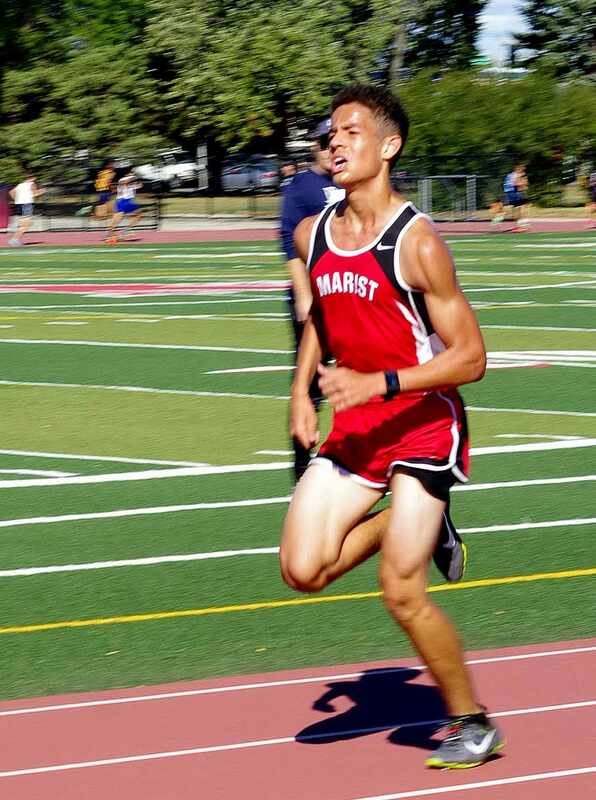 Marist Senior Ignacio Jasso drops 53 seconds with PERSONAL BEST time of 19 minutes and 47.07 seconds! 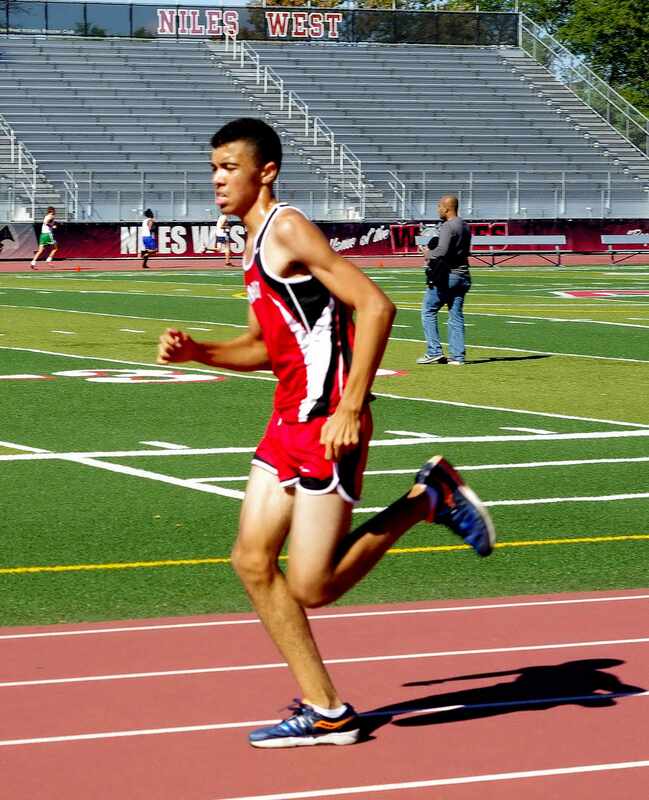 In the Varsity race, Senior Ignacio Jasso finished in 109th place overall with a PERSONAL BEST time of 19:47.07. Senior Ignacio Jasso was honored in practice on Friday, September 29, 2017 for "Senior Day". The entire TEAM, and coaching staff ran in "Ignacio Jasso Day" T-shirts at practice on Friday. Ignacio Jasso responded with his BEST performance of the season. 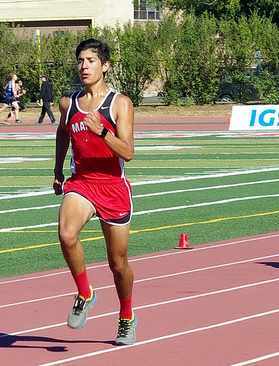 Ignacio Jasso dropped 53 seconds (20:40) with an outstanding time of 19:47.07. Ignacio Jasso ran the first two miles in 13:09, and then ran the final mile in 6:38.07 for a PERSONAL BEST time of 19:47.07. 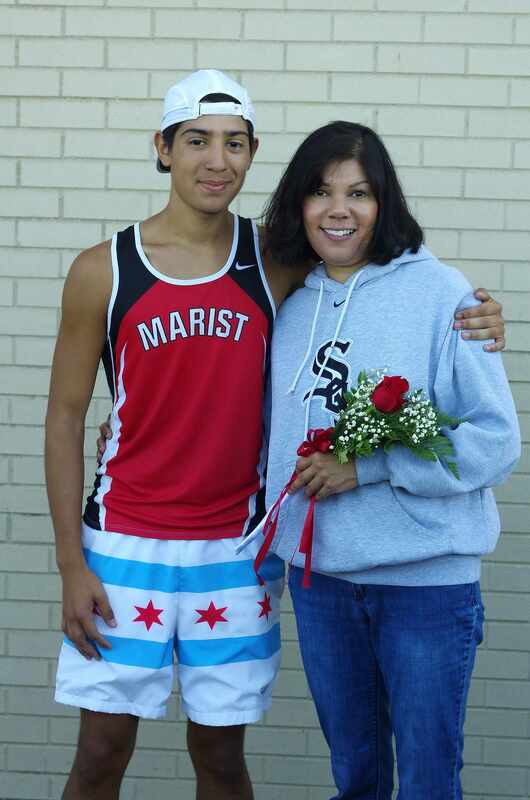 After the race, Ignacio Jasso followed a Marist Cross Country "Senior Day" tradition, and presented his mother with a rose. 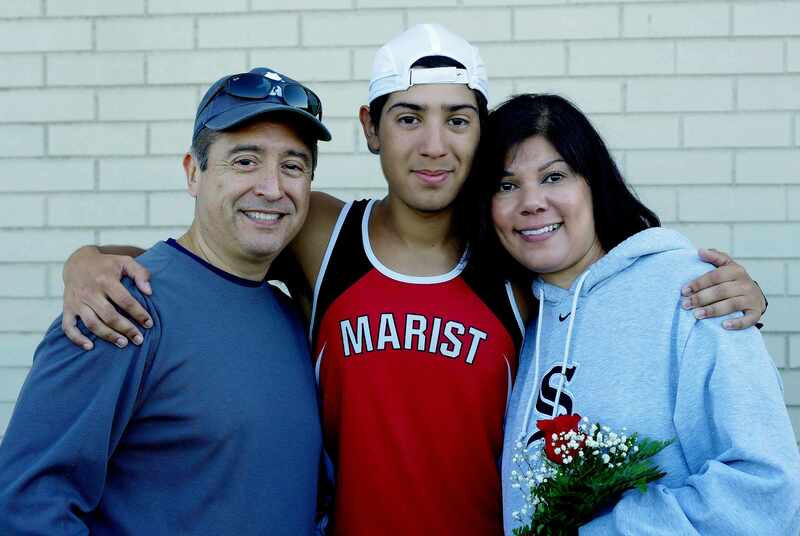 Senior Ignacio Jasso honored at Marist Cross Country Senior Day race at Pat Savage Invitational! 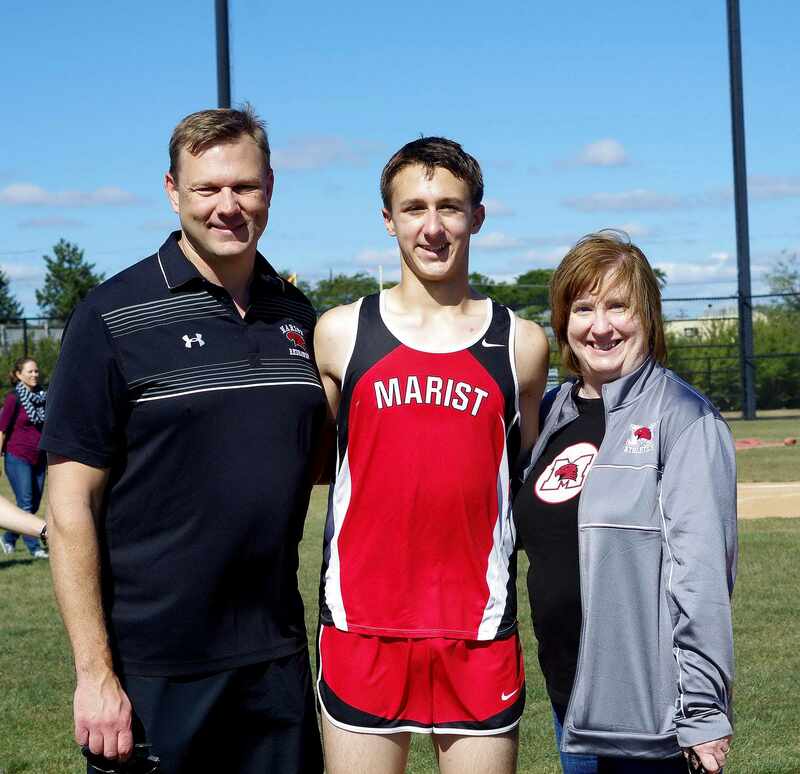 Prior to the Pat Savage Invitational, in honor of "Senior Day", Marist Head Coach Jon Gordon promoted Ignacio Jasso to the Varsity Team. The entire TEAM, and coaching staff also wore "Ignacio Jasso Day" T-shirts to practice on Friday, September 29, 2017, and to the meet on Saturday. Senior Ignacio Jasso responded with his BEST performance of the season. 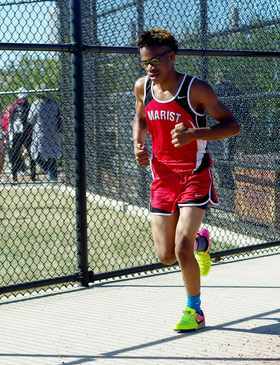 Marist Sophomore Kaleed Chandler finishes in 44th place in the Sophomore Boys race with an outstanding time of 20 minutes and 31.71 seconds! Sophomore Kaleed Chandler finished third for the Redhawks Sophomore Boys Team and in 44th place overall with an outstanding time of 20:31.71. 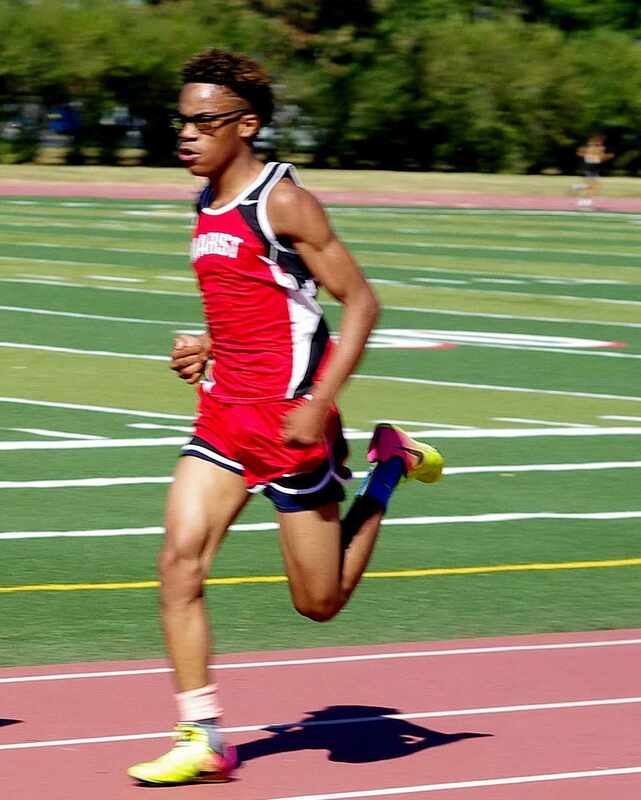 Kaleed Chandler ran the first mile in 6:34, and then ran the second mile in 7:09 (13:43), and then ran the final mile in a NEGATIVE split of 6:48.71 for an official time of 20:31.71. 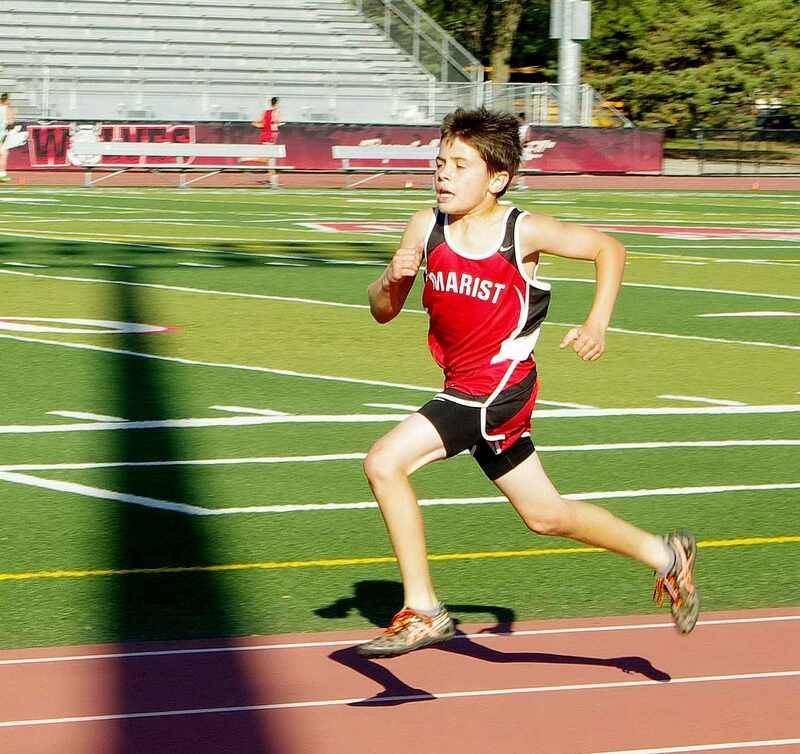 Marist Freshman finish FIFTH at the Pat Savage Invitational! 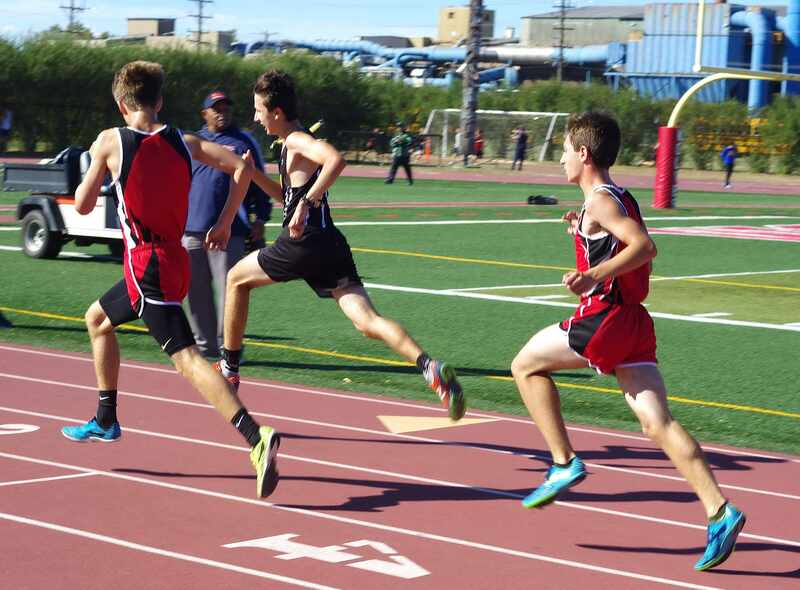 Five Freshman Athletes run personal best times at Niles West! 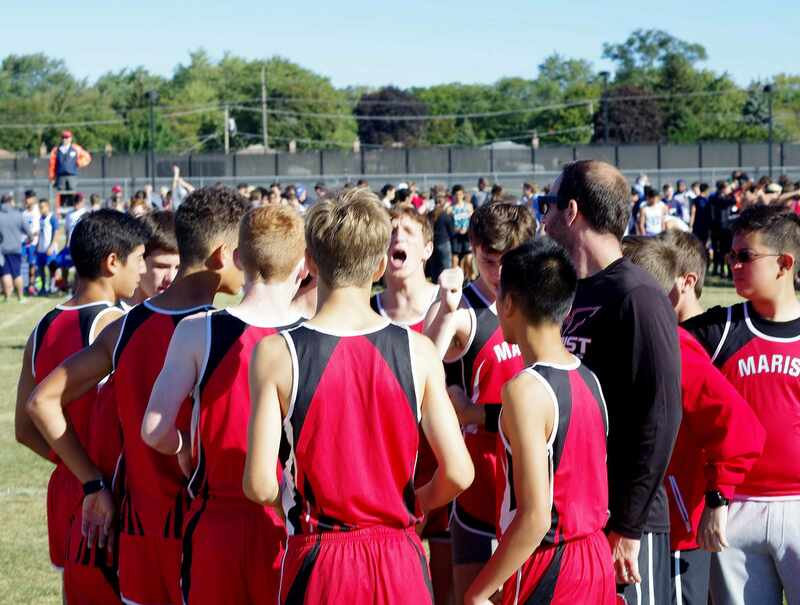 On Saturday, September 30, 2017, the Chicago Marist Freshman Boys TEAM traveled to Niles West High School in Skokie, Illinois for the Pat Savage Invitational. The two miles course was spectator friendly with an Olympic style finish in the Track and Field Stadium. 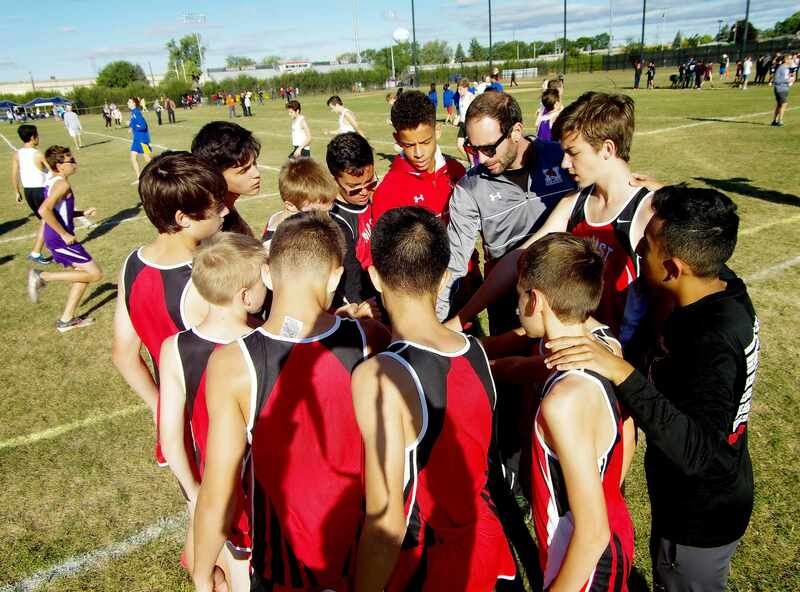 The Chicago Marist Freshman Boys finished in FIFTH place overall with 106 points, and posted victories over: 6. Lake Forest Academy (189 points), 7. Lake View (197 points), 8. Alcott College Prep, 9. Christ the King Jesuit College Prep, 10. DePaul College Prep, 11. Institutio Health Sciences Career Academy, 12. Kennedy, 13. Mather, 14. Notre Dame College Prep (ESCC Conference opponent), 15. Oak Forest, 16. St. Viator (ESCC Conference opponent), 17. Steinmetz, 18. Wolcott, and 19. Phoenix Military Academy. 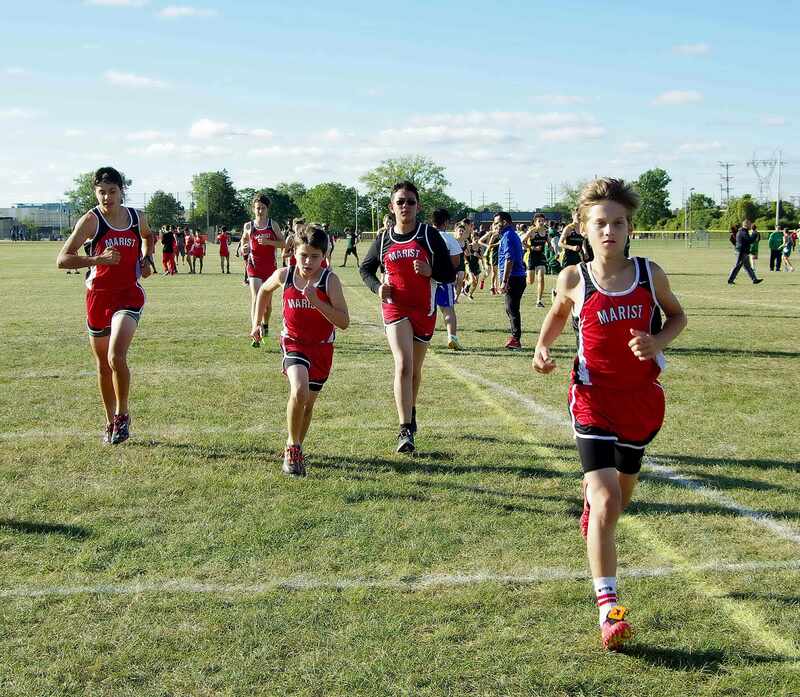 The Chicago Marist Freshman Boys squad had a record of 14-4 on the day against Class 2A Teams in the Red Division of the Pat Savage Invitational! 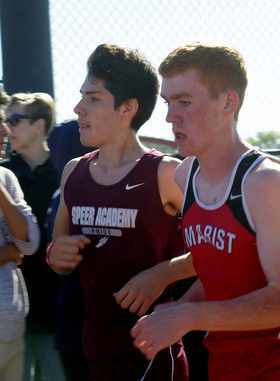 Marist had five athletes finish in the Top 26. 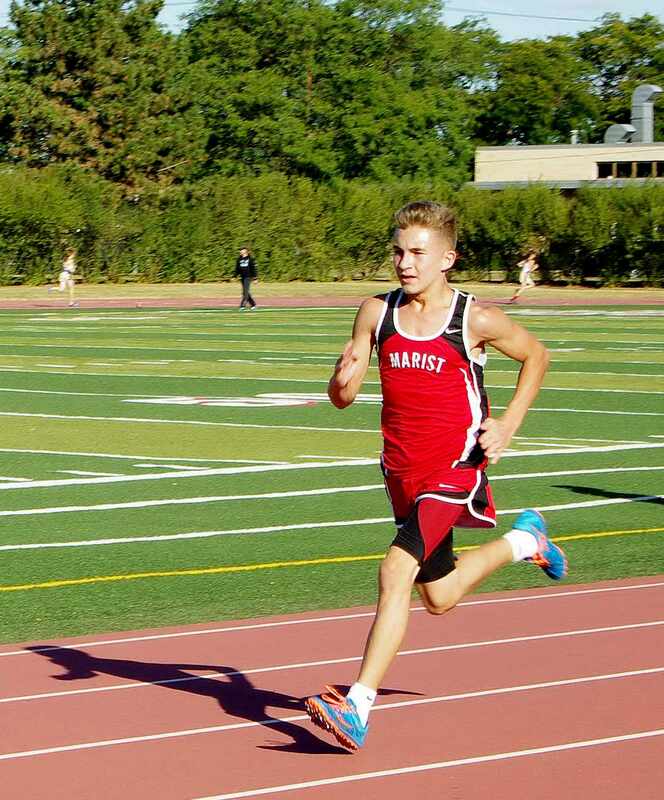 Freshman Tommy Kavanaugh led the Redhawks by finishing in 16th place overall with a PERSONAL BEST time of 12:59.42. 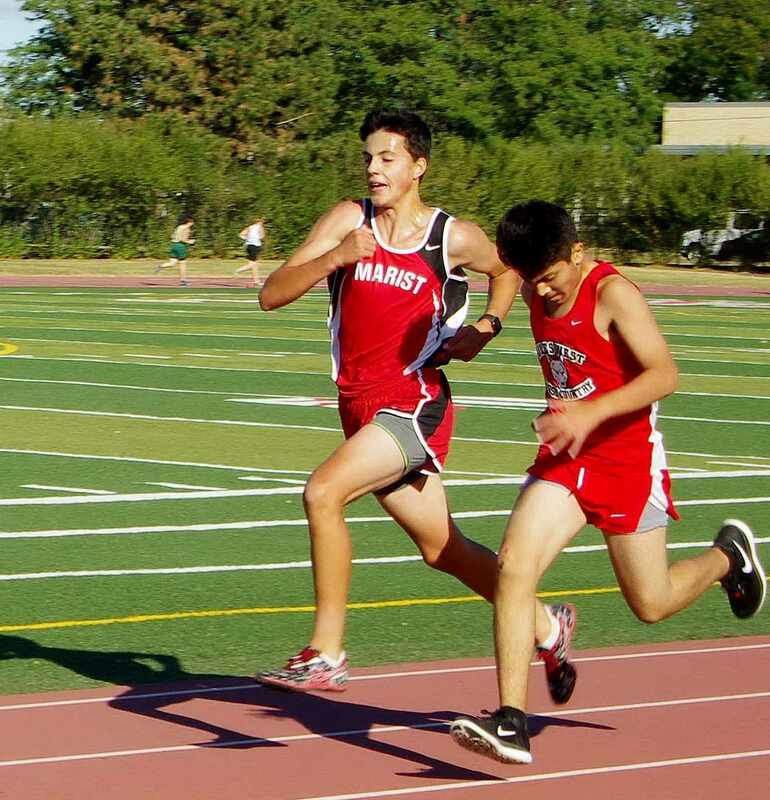 Freshman Julian Marrero finished second for the Redhawks and in 19th place overall with a PERSONAL BEST time of 13:42.01. 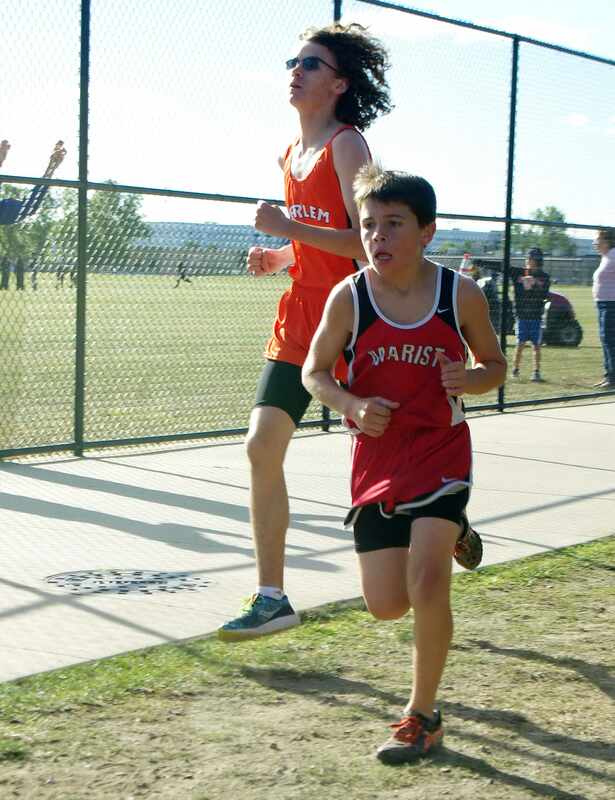 Freshman Tommy Wagner finished third for the Redhawks and in 20th place overall with an outstanding time of 13:45.05. 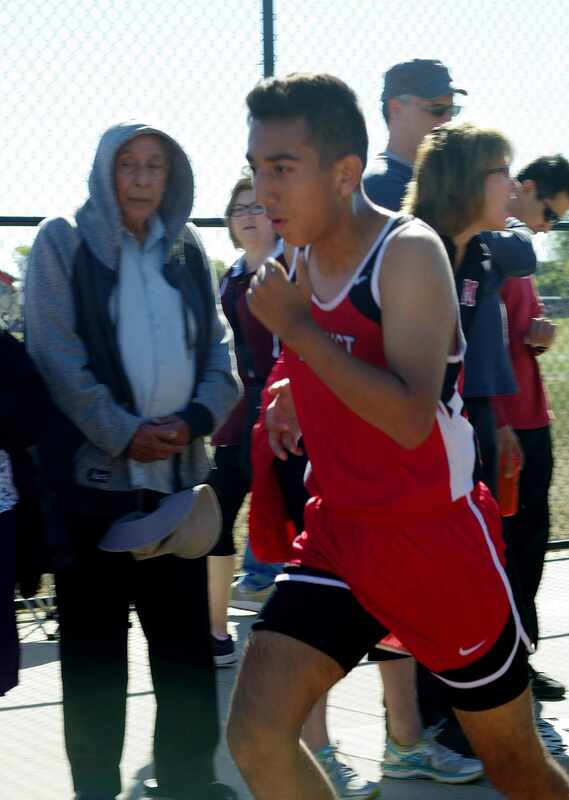 Freshman Angel Ortiz finished fourth for the Redhawks and in 25th place overall with a PERSONAL BEST time of 14:10.09. Freshman Jack Vulich finished fifth for the Redhawks to complete the scoring and in 26th place overall with an outstanding time of 14:11.67. Freshman Nolan Light finished sixth for the Redhawks and in 34th place with a PERSONAL BEST time of 14:58.89. Freshman Patrick Devlin finished seventh for the Redhawks and in 43rd place with an official time of 16:32.71. Freshman John Paul Koss finished eighth for the Redhawks and in 67th place with an official time of 16:36.90. Freshman Nathaniel Salvato finished ninth for the Redhawks and in 71st place with an outstanding kick for an official time of 17:15.25. Freshman Danny Zacek finished tenth for the Redhawks and in 80th place with a PERSONAL BEST time of 20:13.43. 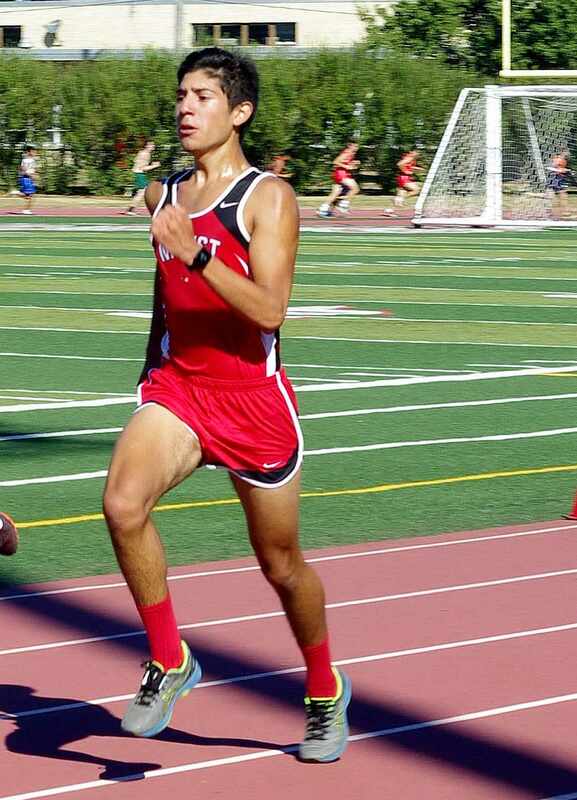 Freshman Brian Chacez-Lopez finished eleventh for the Redhawks and in 83rd place with an official time of 20:57.11. Freshman Tommy Kavanaugh finishes 16th overall at Pat Savage Invitational with a personal best time of 12 minutes and 59.42 seconds! 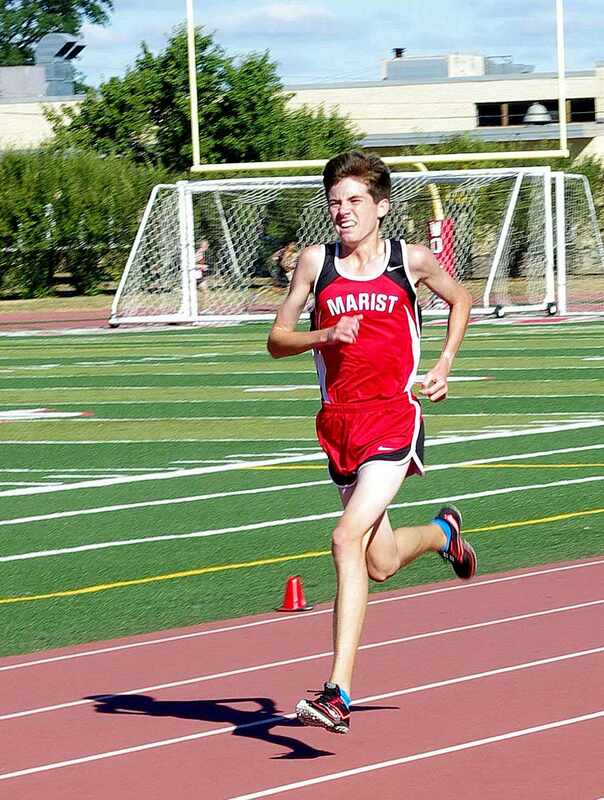 Tommy Kavanaugh led the Marist Freshman by finishing in 16th place overall with a personal best time of 12:59.42. Tommy Kavanaugh dropped 45 seconds off his best time! Tommy Kavanaugh ran the first mile in 6:31, and then ran the final mile in a NEGATIVE split of 6:28.42 for an official time of 12:59.42. 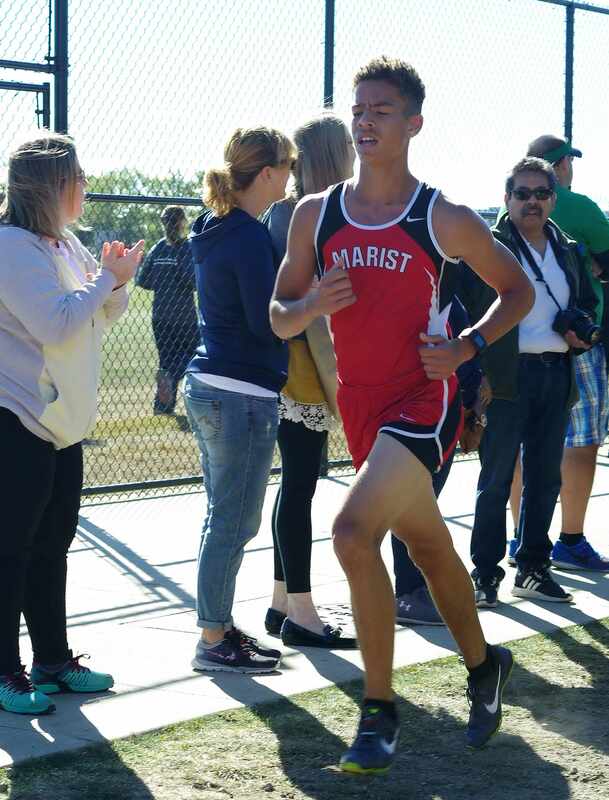 Freshman Julian Marrero finishes second for the Redhawks and in 19th place overall with a personal best time of 13 minutes and 42.01 seconds! 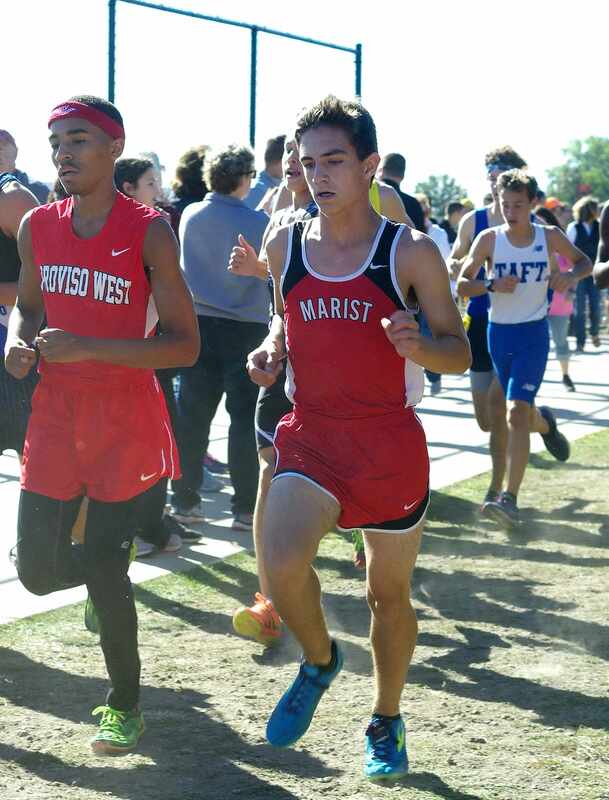 Julian Marrero finished second for the Marist Freshman by finishing in 19th place overall with a personal best time of 13:42.01. Julian Marrero dropped 15 seconds off his best time! Julian Marrero ran the first mile in 7:01, and then ran the final mile in a NEGATIVE split of 6:41.01 for an official time of 13:42.01. Freshman Tommy Wagner finishes third for the Redhawks and in 20th place overall with an outstanding time of 13 minutes and 45.05 seconds! Tommy Wagner finished third for the Marist Freshman and in 20th place overall with an outstanding time of 13:45.05.Tommy Wagner tied his PR! Tommy Wagner ran the first mile in 7:01, and then ran the final mile in a NEGATIVE split of 6:44.05 for an official time of 13:45.05. 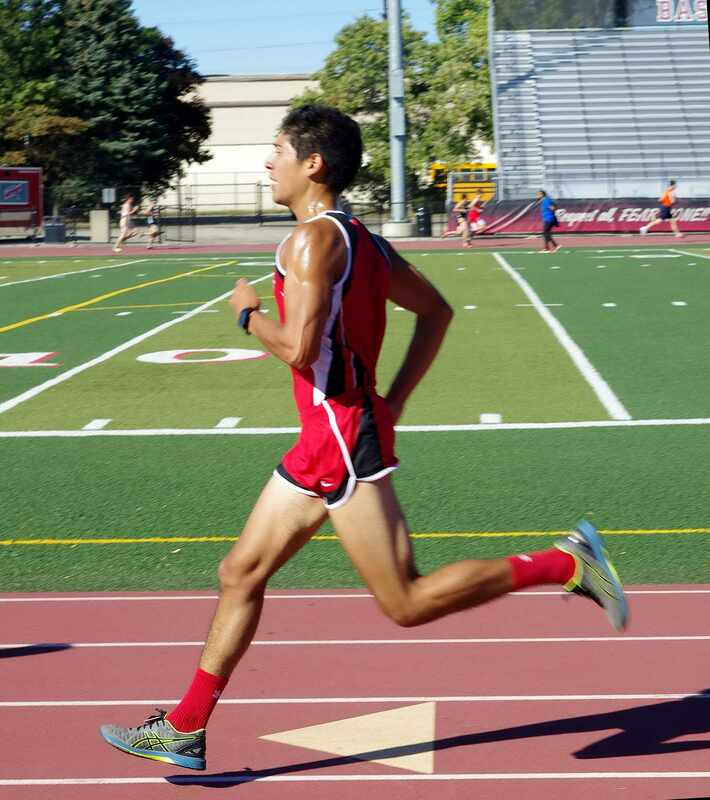 Freshman Angel Ortiz finishes fourth for the Redhawks and in 25th place overall with a personal best time of 14 minutes and 11.67 seconds! 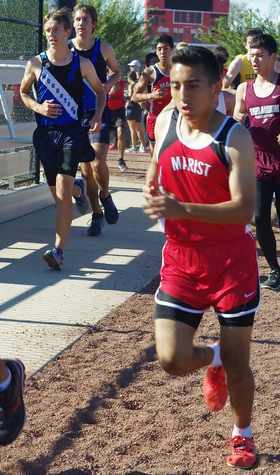 Angel Ortiz finished fourth for the Marist Freshman and in 25th place overall with an outstanding time of 14:10.09. 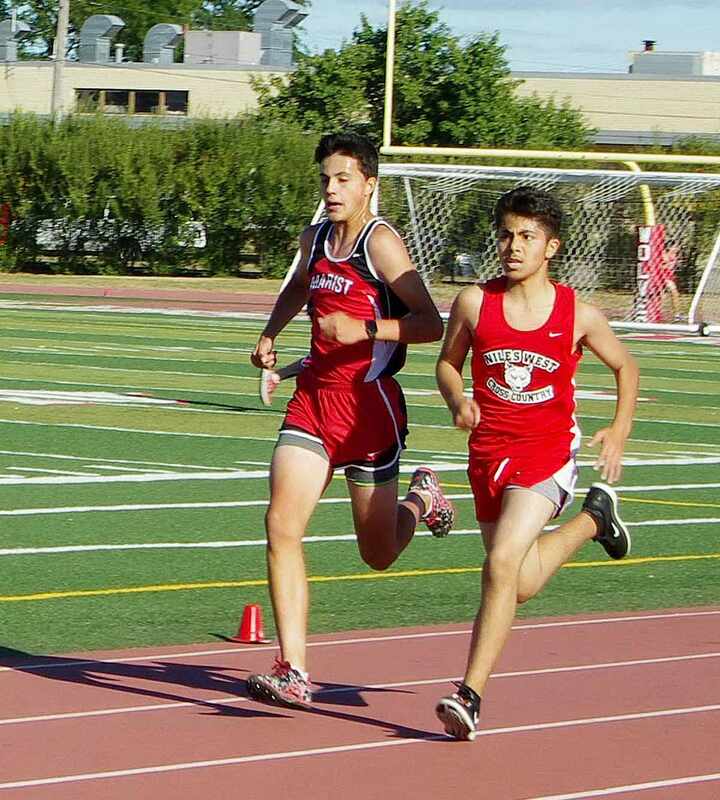 Angel Ortiz dropped one minute and twenty seconds off his best time! 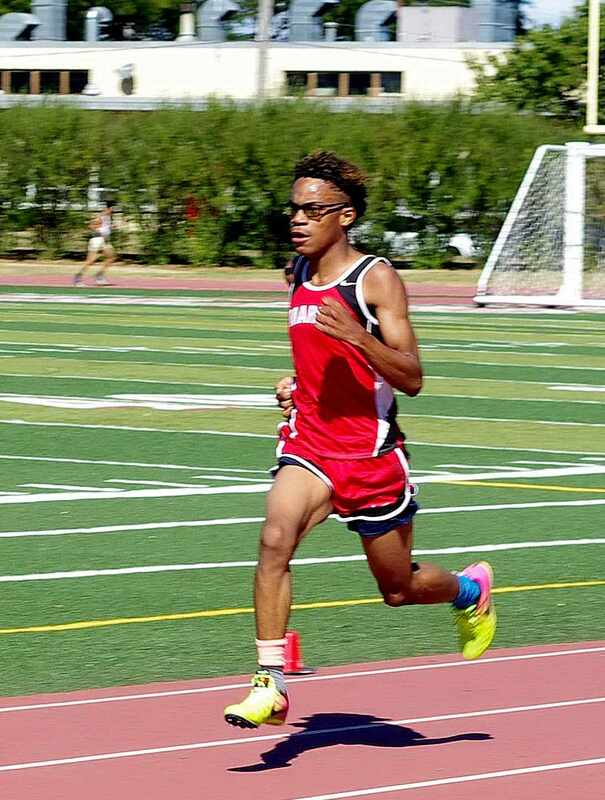 Angel Ortiz ran the first mile in 7:05, and then ran the final mile in an EVEN split of 7:05.09 for a PERSONAL BEST time of 14:10.09. Freshman Jack Vulich finishes fifth for the Redhawks and in 26th place with an outstanding time of 14 minutes and 11.67 seconds! Jack Vulich finished fifth for the Marist Freshman to complete the scoring and in 26th place overall with an outstanding time of 14:11.67. Jack Vulich ran the first mile in 7:12, and then ran the final mile in a NEGATIVE split of 6:59.67 for an official time of 14:11.67. Freshman Nolan Light finishes sixth for the Redhawks and in 34th place overall with a personal best time of 14 minutes and 58.89 seconds! 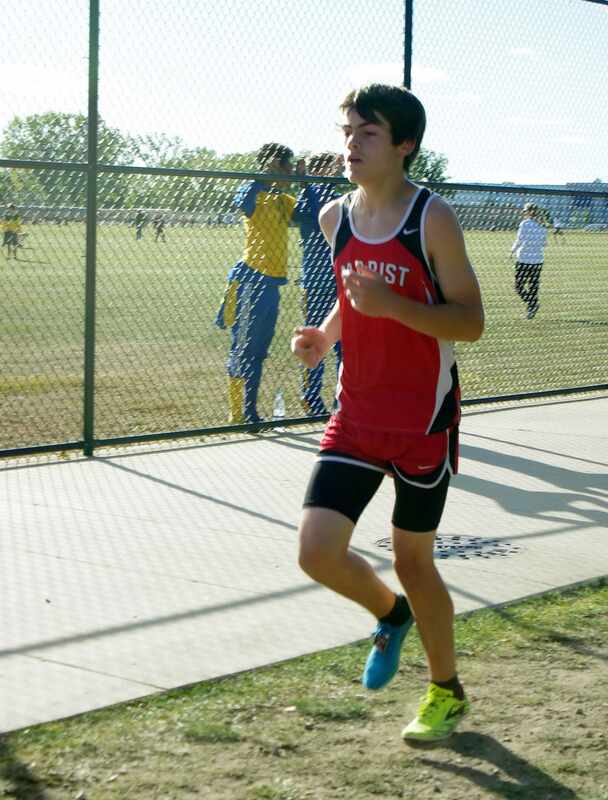 Nolan Light finished sixth for the Marist Freshman and in 34th place overall with an outstanding time of 14:58.89. Nolan Light dropped 52 seconds off his best time! Nolan Light ran the first mile in 7:31, and then ran the final mile in a NEGATIVE split of 7:27.89 for a PERSONAL BEST time of 14:58.89. 33 visitors have signed our guestbook.